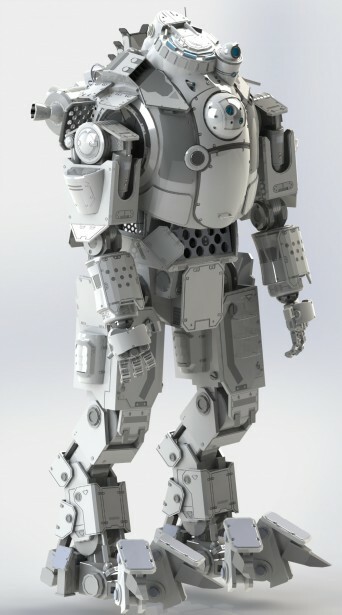 I have one of the coolest possible jobs, and part of it is checking out the awesome things our Community is doing with SOLIDWORKS each and every day. When I’m not working, you can find me online playing video games with my team. Recently, my passions collided when I was introduced to cosplay artist Daniel Lilygreen on Instagram. Daniel uses SOLIDWORKS and 3D printing to bring our in-game characters and their tools to life. Today is a pretty exciting day for us gamers, as it marks the long-awaited release of Bethesda Game Studios Fallout 4. 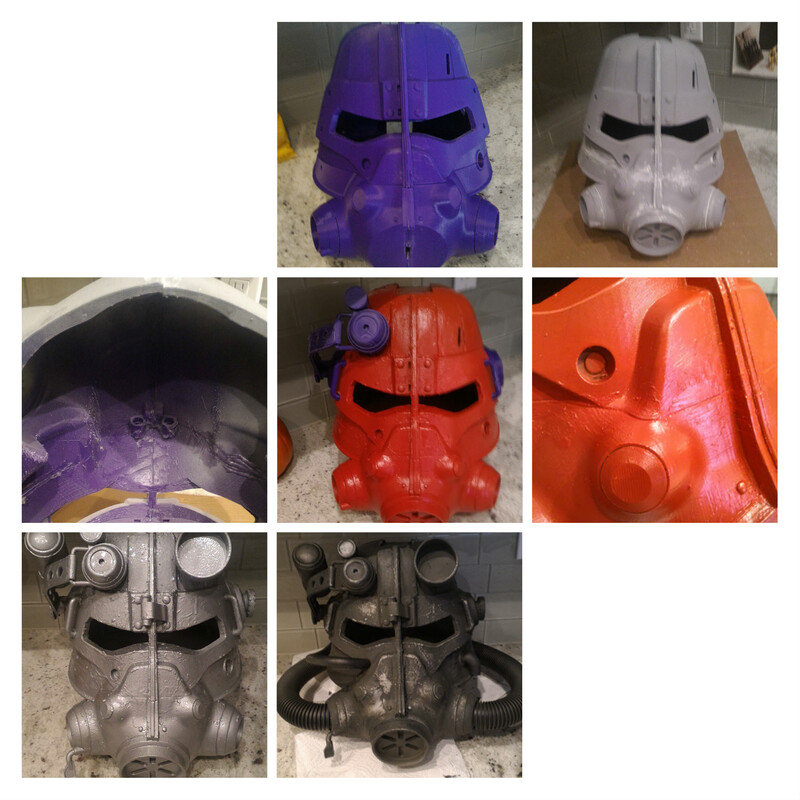 When I saw that Daniel had used SOLIDWORKS to create the amazing Fallout 3 T45-d Power Armor Helmet pictured above, I knew he was the perfect person to celebrate with. Who are you? Where are you from? Where’d you go to school? What did you go to school for? My name is Daniel Lilygreen, I currently live in the Swansea Valley but was born in Leicester, England. I am a Mechanical Design Engineer for a locally based Steel plant and finished my part time BSc in Mechanical Engineering in May at the University of Wales Trinity St. David, Swansea. Currently, I am undertaking a part time MSc in Mechanical Engineering while staying in full-time employment. How did you get started gaming? I originally started gaming at a young age when I received a Sega Mega Drive II as a birthday present. Once my family had bought our first computer, I started playing such games on there too, like Day of the Tentacle. During this time, a lot of my friends all enjoyed video games and we were always trying to beat each other’s high score or time through each level. The first ever game would be Tetris on my father’s Gameboy, a classic to most people and I can always remember how simple but addictive it was to play. Why take this passion to the next level with props and cosplay? I found that a lot of the interesting items and gadgets have, for a long time, stayed within the games themselves and only people with great talent and workshop skills have built them. Now with 3D modeling and 3D printing, that special item in a game you always remember can be brought to life. This also brings items that the vast majority of gamers would wait hour’s in line for to anybody, rather than the select few. Was this your first thought when you became aware of 3D printing? I had only become aware of 3D printing through University and through a few colleagues interested with it at work. I then started reading articles and watching videos of the machines producing parts and thought it was amazing but didn’t understand the process enough to know what was possible. What was the very first object you printed? My very first print was only a little part used to hold a DTI (Dial Test Indicator) on the printers end effector. It only took about 30 minutes to print but I watched the entire print to the end as I found it very enjoyable watching this happen for the first time. How were you introduced to SOLIDWORKS? I was introduced to SOLIDWORKS through college as a way to easily show different designs of a solar powered car needed for a project, rather than producing crude hand drawings. During that time, it was simply having a go and figuring out how the software worked and creating simple models that almost resembled a car. You’ve attended significant SOLIDWORKS training and are SOLIDWORKS Certified in several areas. Any advice for someone looking to get certified? Nothing I found works better than looking through the training manuals or using the built-in tutorials. They are very comprehensive and are always handy to go back to if you’re stuck or unsure of something. Also, take the practice exam as a mock test and attempt the questions without any help first. Then, if you need help, refer to the manuals or tutorials. Tell me a little bit about your Thingiverse Design-to-print group. Why start the group? Has it helped you become a better modeler/maker/designer? How? The group was started as a way for me to help other people who might be unsure of how to model something, or who need help knowing what software to use. For myself, it’s a great way of knowing what the 3D printing community might want modeled next. Starting the group has definitely influenced the way I have designed my models, I want as many people as possible to enjoy my work as much as I do so all the models must fit on common bed sizes. This means breaking even the largest of models down into manageable and easily printable parts that even beginners feel happy undertaking. What has been your favorite design to date? I would say I have two favorites, firstly, the T45-d Power Armour Helmet from Fallout 3 (pictured above in build stages). I learned a lot when creating the model due to its complexity and incorporating both surface and solid body modeling. It was also my first attempt at creating a wearable item that big, which could be printed. 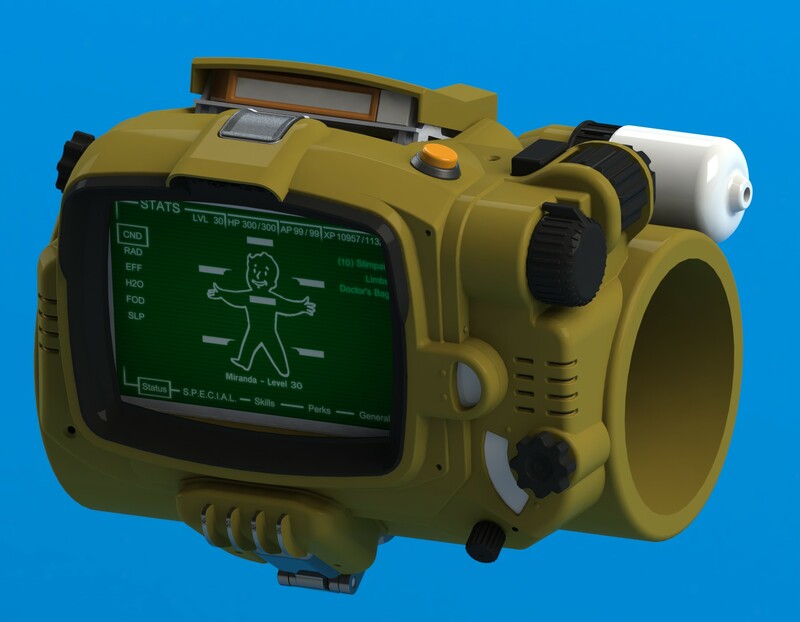 This is something many people in the Fallout community have wanted for a while. Knowing what I’ve learned, I can now attempt more complex models in the future that I might have otherwise deemed impossible. My second favourite is the Altas Titan from Titanfall; surprisingly, this was the very first model I made for 3D printing. I found it very enjoyable to create something I’ve only seen in a game to a usable model so it could be printed. I very quickly learned about how dimensional tolerances translate through the 3D printing process, which has stood me in good stead for my other projects. What advice do you have for young designers who are looking for a way to combine their love of gaming with a real-world job? 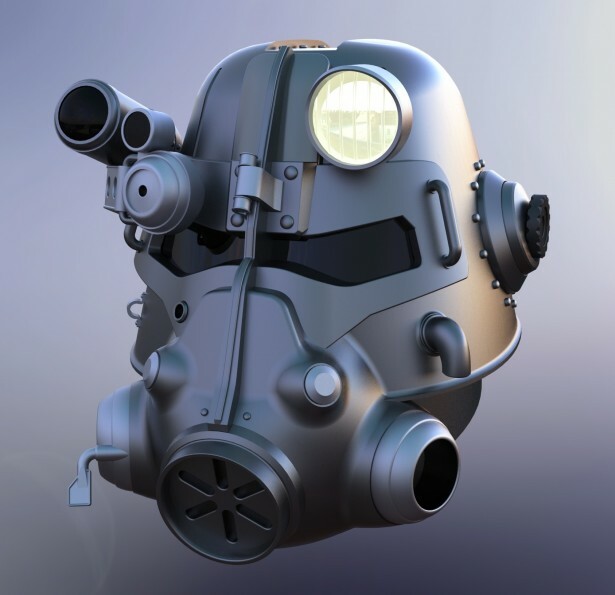 If you have a particular item you would want to model it’s always best to get as many reference images as possible, whether it be in-game screenshots or concept artwork. Once you have this, look at the basic shapes that make up the item and start modeling those first. Initially, this can be quite frustrating if there are not many images to go on or you are unsure of what to start first but once you have this, that is the hardest part done. The detailing of a model always consists of simple processes but this is what makes the model look real and believable. If you enjoyed hearing from Daniel Lilygreen, be sure to check out last week’s post introducing Kirby Downey. As always, thanks for reading! If you or someone you know would like to talk about your SOLIDWORKS creations, please email Rachel Diane York at SOLIDWORKS.social@3ds.com and introduce yourself! I’d love to hear all about your journey!